The before and after one of Joey’s “episodes.” Notice he’s helping with the cleanup and snacking on some of the leftovers. Tip #1: Turn your back. This one is SO much easier said than done. You better believe I wanted to yell, “great throw Joey,” when I saw a carrot go across my dining room table and into the living room. But like most toddler behaviors, the smiles, laughs, and praise mean that it’s more likely to be continued. Also, the no’s, stop, and don’t do it mean that it’s more likely to be continued too. If he makes the mess, he helps with the cleanup! 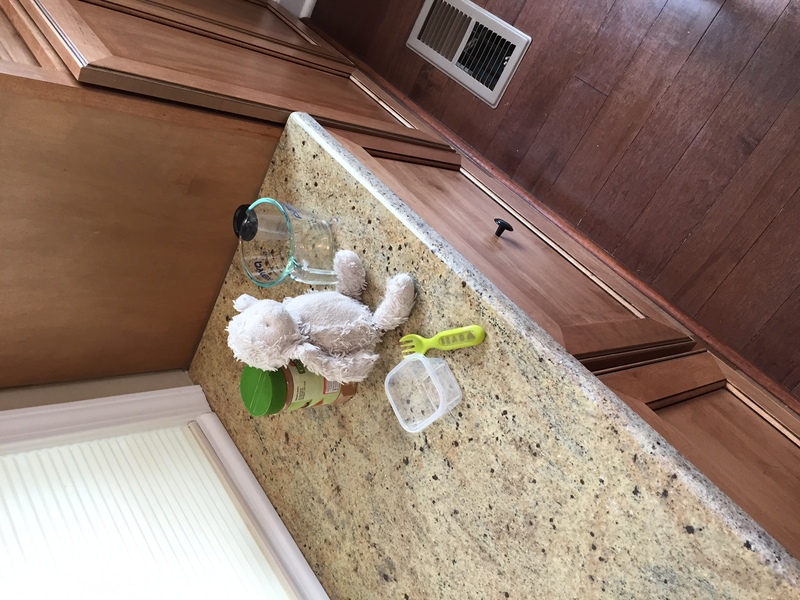 Joey’s buddy, Sheepy, also joins us for snacks and meals. He leads by example with Mom! Tip #2: Give your child your undivided attention. I realize that this is the exact opposite of the previous tip. But I notice if I am cleaning dishes, cooking, or talking on my phone when Joey eats then the food throwing increases. Can you blame him? I wouldn’t want to be ignored while I ate a meal either! I suggest sitting down with your child and model the behavior you want them to imitate at the table—and heck, enjoy a family meal, even if it’s just the two of you! Who wouldn’t love a meal with their Nana?! Tip #3: Limit the food on their plate or tray. The more the merrier, right?! Not in this case. The amount of food on your little one’s tray might simply be overwhelming to them, tempting them to try their hand at food throwing. Not everyone likes an all you can eat buffet at each meal. Tip #4: Make sure your child is REALLY hungry. It’s sometimes hard to gauge when Joey is hungry because he can’t come out and say “I’m hungry Mom!” just yet. To make sure Joey has somewhat of an appetite when it comes to mealtime, I limit the snacking to at least an hour or 1.5 hours before a scheduled meal. This has cut down on the food throwing substantially! MOST of the popcorn ended up in Joey’s mouth. I consider MOST being a win! Tip #5: Redirect their attention. I’ve started making food throwing a learning opportunity for Joey. “Joey, lets put the green apple in this bowl!” “How many apples are in the bowl now?” Also, while most of the kid-friendly food I serve can go directly on Joey’s tray, I started using compartment plates and letting him eat meals with a fork and spoon. Both of which have distracted him enough that he’s not showing off his right-hand curveball with the ravioli for dinner! 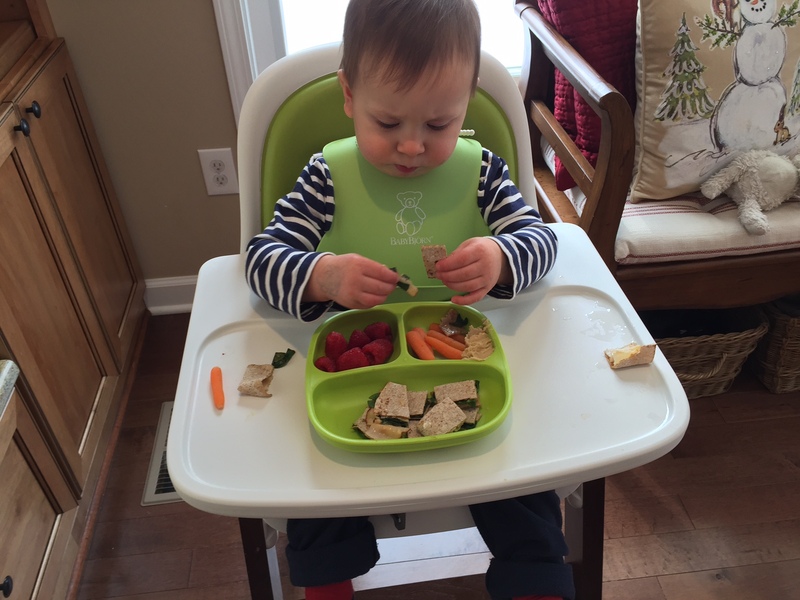 We love these compartment plates from Re-Play! The best part? They are dishwasher safe! If all else fails, I’d suggest ending mealtime. There’s no use in continuing to give your child ammo if it’s just going to end up on your floor. This doesn’t mean your child is excused from the table or their highchair. Continue eating your dinner [or breakfast, lunch, and dinner in my case] to set the example that just because they might be done eating it doesn’t mean everyone else at the table is. What am I missing? Are there any other tips or tricks that help with the food throwing debacle in your home? Great tips! It’s so hard not to smile and laugh when they do things that really drive you crazy but they’re so cute! We had a lot of food throwing at that age. It does get better!! I’ll take any warnings for what’s next! I need to implement these with Frances! Our poor dog (lucky dog to him) is getting a bit overweight thanks to Frances feeding him from her tray every meal. Lol!! We need a dog! But frequent trips to grandma and grandpas means their dogs get some table scraps too! Haha, your boy is tearing up those eggs like it’s nobody’s business! Great tips! Give him a fork and he is a maniac lol! 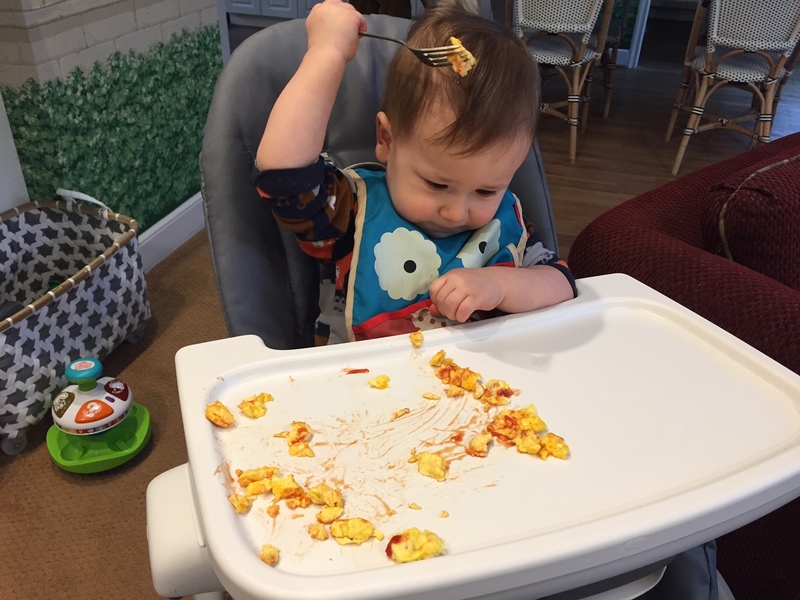 I don’t have kids but my nephew definitely loves throwing his food. It’s so hard not to laugh sometimes, but I know that only encourages them more. I shared this post with my Sister. You have some great tips here! Thank you so much Heather! Agreed on the laughing. I laugh because crying would make it worse lol. Such great tips! I agree with everything you said. It can be so frustrating to make a nice meal and watch it be thrown all over the place. I’d also add to “keep your cool.” I think when Johnny can tell I’m upset that he sees that as some sort of reinforcement (I have no idea how his brain works.) I try to explain to him WHY throwing food is not okay… it makes mommy sad and is not polite. Someday! YES!!! I need a keep my cool more often than not. Walk away sister. Just walk away… But then who would clean it up?! Lol. What a great article. I am passing this on to my niece who has a toddler. I remember those days! The idea of having them help clean up is great, good work Mom! We had such a terrible time with my youngest son AJ and throwing food. He did it until he was almost 2 1/2. He doesn’t speak, not a single word, and this was his way of telling us he was done and wanted to leave the table. He refused to learn sign language and just wanted to keep doing what he was doing. We finally had to limit how much was given to him at a time and basically use hand over hand to get him to sign if he wanted more or if he was done eating. He now signs on his own and is starting to make a few sounds, babbling (the beginning stages of speech) so there is a lot less thrown food or sippy cups. I’m glad you’ve seen improvements with the food throwing and babbling! Sounds like it was a tough road but you are getting through it Momma!! Kudos to you! These are awesome tips! I remember when my nephew was learning how to feed himself, he would through his food all over! I’ll be sure to keep these handy when I have my own kids. 🙂 Thanks for sharing! Interesting tips! I never would have thought of this at all except taking the food away. I don’t have my baby yet (due in 10 days!) but when I was a nanny, food throwing was my least favorite game to play with kids. I’m also worried about how it will affect my rather small dog when the day does come. Food for all! Lol your dog might need some extra walks!! Good luck with baby. Sending positive vibes your way! Gianna is now 18 months and she tends to push it off her tray onto the floor. I’d LOVE A to find a plate/bowl that suctions tight to her tray. She still does finger foods although she likes spoons/forks and I let her use those occasionally. She used to be a really good veggie eater – not anymore! I have some suction plates and they all hit the floor too lol! We have suction bowls. You can get them most any store. But all of ours end up on the floor. Baby P is 18 months and they have been hitting the floor from the very beginning. These are very helpful tips! We’ve noticed our toddler throws food when she’s getting full and also when we don’t put the dogs up. She thinks it’s hysterical to watch them clean up her mess from the floor (and they love it, too) so we’ve started putting them in another area while she eats so she’s not tempted to play the game with the puppies. I totally agree that toddlers really need our full attention during meal times. Think about it this way, small children know nothing about food etiquette except what we model to them. Another tip I would add is to use whatever verbal/communication skills your LO already has to your advantage. My 21mo has been slow in extending her vocab but learnt very early how to say ‘no’. So we made this her signal word to say that she is finished with her food. We also helped her to practice handing her bowl over when she says ‘no’. When she threw something on the floor we would calmly put it back on the tray and let her try again. We don’t have so many incidents anymore and she seems to enjoy asserting herself. GREAT tip!!! Thank you Melissa! These really is an awesome tips. 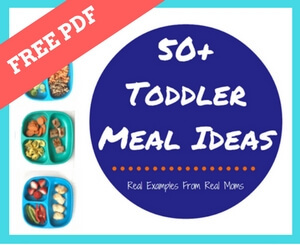 Toddlers used to throw food when they are full or when they don’t like the tastes of the food it is better to prepare just a li’l bit of their food so that it won’t be wasted. we have found with out 11 month old that she will throw food when she wants something different. we have a tendency to give her the same thing to eat as long as she’s eating it. but if she gets tired of the taste she will start throwing it until we give something else. Also she will start throwing food when she’s finished. these are some great tips. looking forward to seeing if they will help. 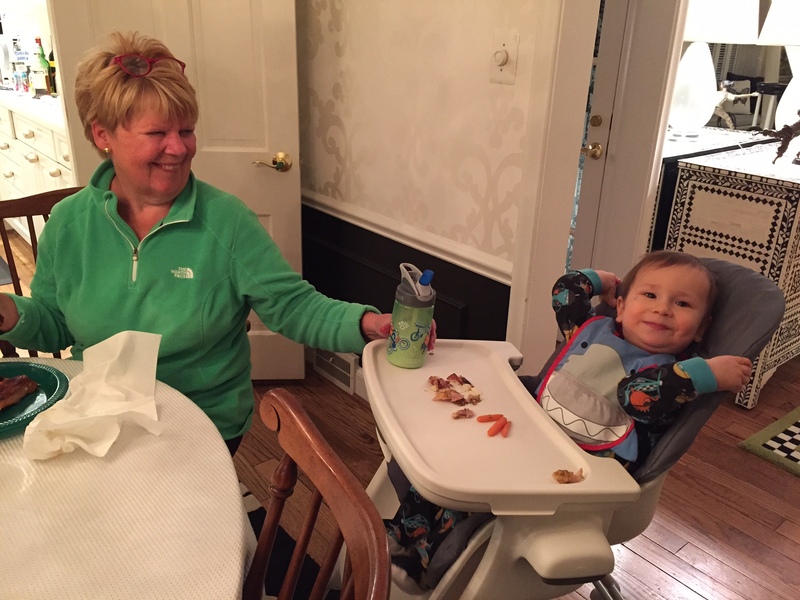 We have family dinners and when my 16 month old son starts throwing food we take his tray away but he has to stay in his chair until the rest of us are done. He threw a tantrum the first few times but we don’t tolerate it-if he throws one piece, the tray is taken away. I am a preschool teacher of kiddos who are 15 months to 2 1/2 years old. 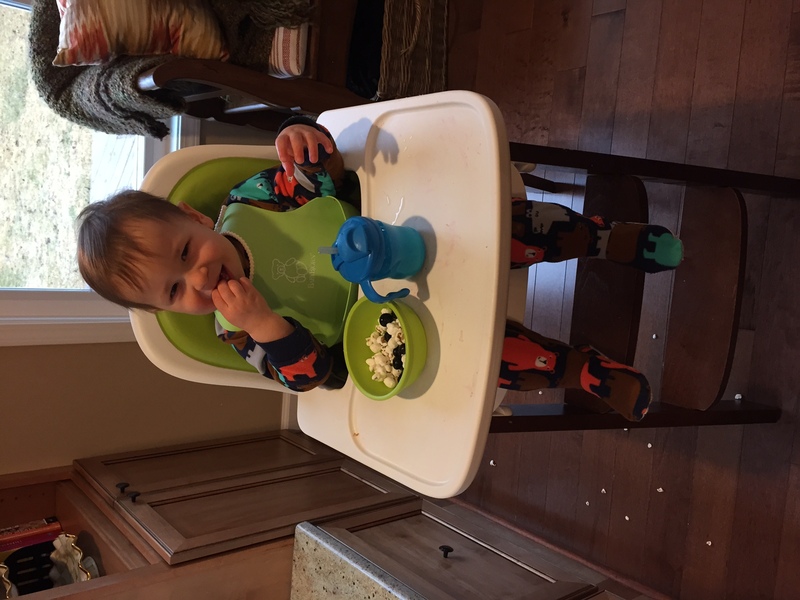 Most kids feel the need to get the food out of their space (or off the tray) when they don’t want it. In my classroom. I move the side of the high chairs up against the table. Whenever they are done eating their food, I have them move it off their tray and onto the table. Once I train them to do this, the throwing slows down. It seems like toddlers and children throw food less when they see other little ones of the same age eating. I don’t know if it is the competition, or they are thinking something like, “This is business now”. All my kids had bowls, plates and utensils from the beginning. Even when I was spoon feeding them they had a spoon of their own b just in case. 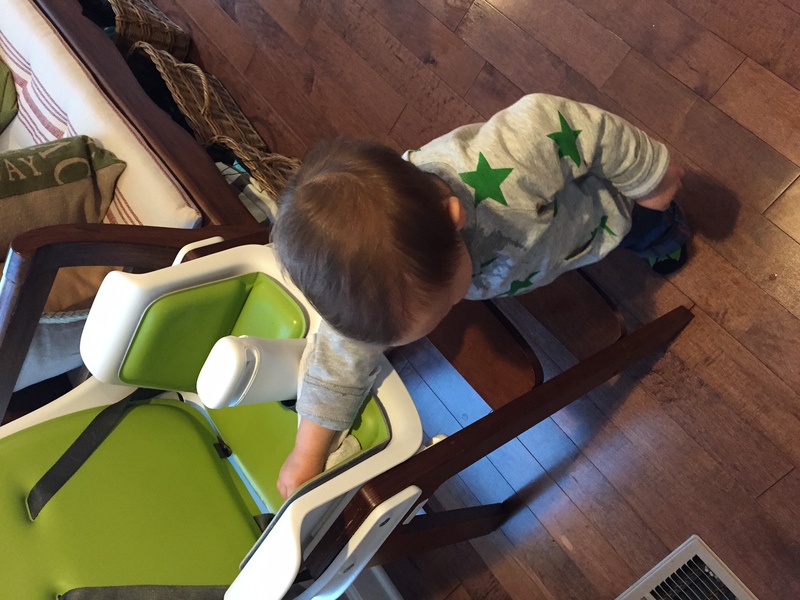 The high chair was always at the dinner table touching it, not on its own, to have the kid be part of the “big” table. The dog was always away at meal times so no one would be tempted to feed him. When something was thrown, they’d get a “no”. If they did it again, meal time was over for them. If you allow no throwing from the beginning, it won’t turn into a fight each time. They were allowed to play with food on their own plate/tray. My kids were eating on their own since 2years old, sitting on regular chairs using tableware and utensils. From 2.5 years we switched from plastic kid plates to regular. Kids are different, yes, but don’t forget they are smart and capable of many things! So happy to read this! My husband and I have been struggling so much trying to get our 20 month old to stop “sharing” his food with the dog, or just throwing it off so he doesn’t have to eat it. Thanks for the tips! And I agree, it’s a stage, and that does make it easier to deal with! The way I look at it is when they are 15 these behaviors have to stop, right?! 🙂 thanks for sharing Tina!! 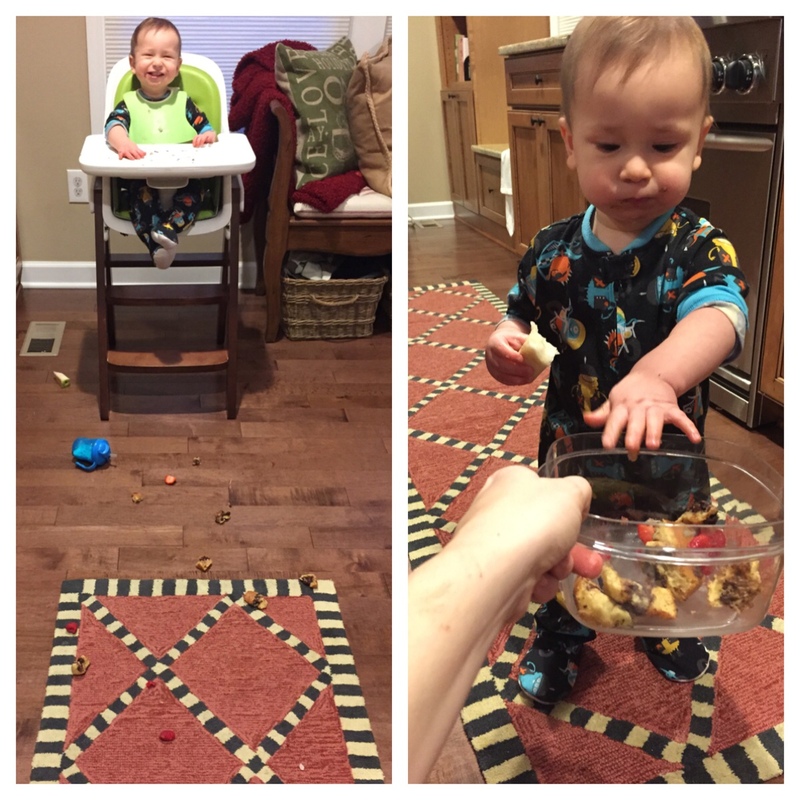 My daughter pulled the food throwing when she started with solids, but a month later, at 7 months old, never did it again. These seem like ridiculous tips to use, especially with children who are so old and should DEFINITELY know better…. seriously still throwing food at 18 months?!?!? When my daughter would throw even a single piece of food she was scolded with a firm no and would lose any food she had left. I’d give it back to her 30-45 mins later to try again. After a week it was rare for her to throw anything, but would occasionally test to see if she would lose it. After a month she was completely broken of it. I seriously don’t understand why anyone would be tempted to laugh at this; there is absolutely nothing funny about spending 10 minutes after every meal/snack cleaning food off the floor/walls. That’s great that what you dod worked for you. But the mom shaming isn’t necessary. We are all trying to figure this motherhood/parenting thing out. When i had my 19 month old twins, i am sure the NICU didn’t send a manuel home to handle every situation. They throw their food, we never laugh but i would never make someone feel awful for getting a chuckle out if their child throwing a egg across the table while eating. We are in this motherhood/parenting thing together, let’s try to lift eachother up! Not shame because they didn’t handle a situation the way you thought they should have!!! This really is great. I have 20 month old twins and food throwing is their Olympic sport. I find that giving them mealtime attention helps tremendously because I can also catch them pre-throw. I also try to encourage them to take the food off their plate/tray/whatever and put it to the side (as opposed to tossing it). We just switched to space saver chairs at the kitchen table and the boys now sometimes push what they don’t want to the middle of the table (like the plate itself or this specific piece of egg that apparently is not good). It’s way better than throwing it on the floor, and it gives them control of what they keep in front of them. Even as adults, we remove what we don’t want from our plates at times! I love this strategy Rebecca. Or maybe giving them a little bowl to put it in. I’ll try your way next! Wow these are great tips! I have been a nanny for about 9 years and I have only watched one toddler who would throw food. I couldn’t stand it! I had no idea how to keep him from doing it so I started doing the turning your back thing and making sure I was sitting with him. Sometimes that works but when his parents were allowing it, there was only so much I could do. 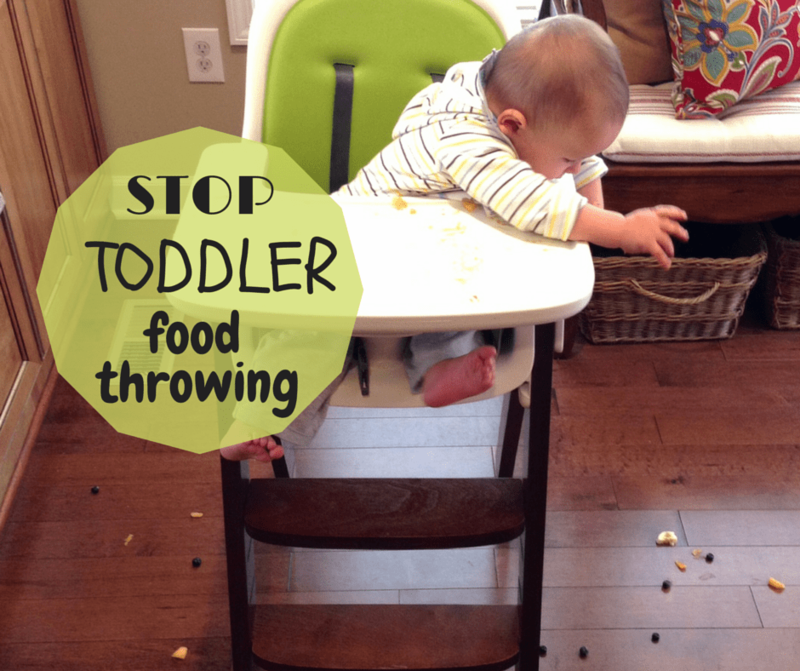 I will for sure be using these tips if/when I have a toddler throwing food! Thanks for sharing! Our son thinks the dogs eating his food is hilarious, so we had to banish the dogs.